Property Details: 3 Bedroom, 3 Bathroom Residence with approx. 3,110 square feet. Parasol West Home for sale in Perdido Key Florida. Experience the best in coastal living with panoramic water views that include the Gulf of Mexico to the south and Ole River to the north at this resort community. This open beach resort residence is filled with natural light, ideal for a relaxed gulf coast lifestyle. The large screened-porch adjoins the great room making this the perfect area for entertaining friends and family. The kitchen has stainless steel appliances and an additional full-size refrigerator in the adjacent laundry. This home has custom interior finishes and crown molding throughout. Community amenities include an outdoor pool, a boat dock & slips (first come, first served). The Perdido Key weather allow for a variety of outdoor activities year-round..there's more, come see this amazing house today! Perdido Key is in Northwest Florida just east of the Alabama State line near the Gulf Islands National Seashore, this semitropical climate makes for warm humid summers, with cooler winters. More than 50 inches of rain is received in this region per year, combined with the Gulf of Mexico, high humidity is the norm during the summer. Thunderstorms are a frequent occurrence in the summertime, but they are generally brief with sunshine quickly returning. Winter, by comparison, is delightfully much cooler and drier, with perfect conditions for outdoor activities. 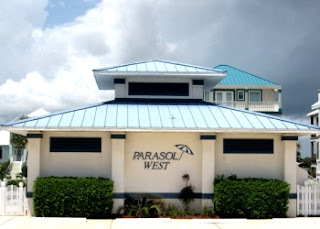 ---------------------------------------------------------------- Florida's Emerald Coast is a Popular Family Vacation Destination Florida Emerald Coast .